If you are sailing on a Princess cruise out of Alaska, you can expect to sail from Whittier, located about 65 miles southeast of Anchorage. While your port of embarkation might be marked as "Anchorage," this actually indicates the nearest arrival airport and the hub of cruise tour activity, not your physical departure point. While plenty of Alaska cruises set sail here, Whittier is not as well known as other ports in the Last Frontier. Its fascinating military history -- keeping supplies hidden under dense fog during World War II -- and picturesque surroundings as the gateway to Prince William Sound make it a delightfully quirky place to begin your Alaska cruise. 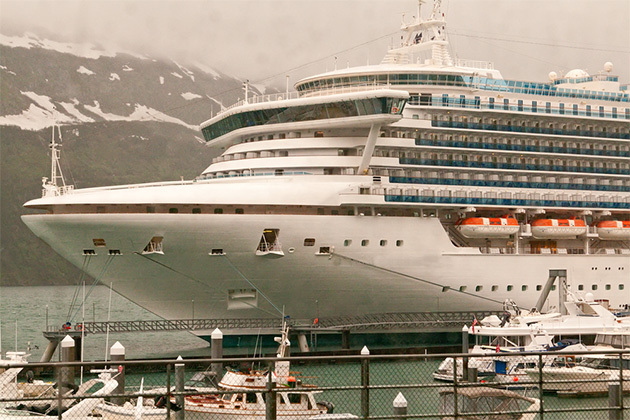 The Whittier cruise ship terminal is roughly 60 miles from Ted Stevens Anchorage International Airport, and takes about 80 minutes to drive. Get on AK-1 S from W International Airport Road and Walter J. Hickel Parkway (for 8 miles or 15 minutes). Once merged onto AK-1 S, follow the road for a little more than 41 miles (about 45 minutes). Then, follow Portage Glacier Road into Whittier for 20 minutes and you will find the cruise terminal not far on West Camp Road. Take note: If you are getting to Whittier by car, you will need to pass through the single-lane Anton Anderson Memorial Tunnel, the one road in and out of Whittier (and the longest highway tunnel in the world at 2.5 miles). This stretch also shares its time with the railroad, so entrance is on a timetable. To Whittier, cars typically leave on the half-hour from 5:30 a.m. to 10:30 p.m. The one-way toll for a private car is $13. It's a nice ride from Anchorage to Whittier on the train, and it takes about three hours. 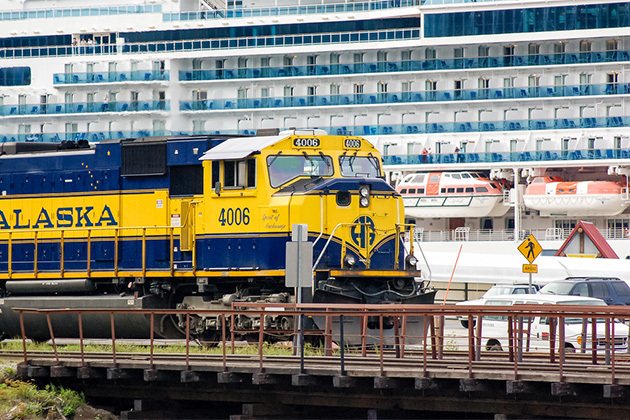 If you are on a cruise tour, chances are a ride on the Alaska Railroad will be part of your journey on the way to the cruise port or on the way back. If you are going it alone, the Glacier Discovery Train typically departs the Anchorage train station at 9:45 a.m., arriving in Whittier around 12:05 p.m. A one-way ticket from Anchorage or Girdwood to Whittier is $83 for an adult. A taxi ride to the Whittier cruise terminal is not a recommended form of transportation if you are coming from Anchorage or elsewhere. A one-way ride from Anchorage to Whittier is about $175. 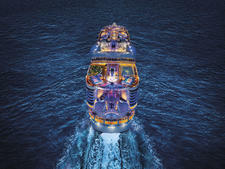 Look for shuttle service through your cruise line or a third-party provider. Local operators offer either narrated direct transfers for closer to $35, or include half-day tours on your way down to the port, for slightly more. If you're looking for more than just a ride, Salmon Berry Tours offers a six-hour tour from Anchorage to Whittier, which includes lunch, sightseeing and a visit to the Alaska Wildlife Conservation Center, for $199 per person. At the time of publication, rideshare services like Uber or Lyft do not operate in the State of Alaska. There is not much in the way of public transportation to, or around, Whittier. Consider the Park Connection bus, which departs from Anchorage, Denali or Talkeetna to Whittier. From the Anchorage Museum, the ride is two hours long and the bus will drop you right at the cruise terminal for $65 per person. Departures are typically 3 p.m., arriving in Whittier at 5 p.m.
Avis Alaska has a location in Whittier at Lot 8 near the Small Boat Harbor. 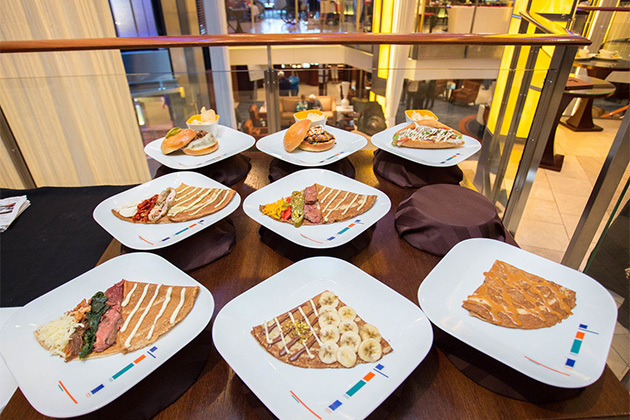 During cruise season (May through September), they are open 8 a.m. to 8 p.m. Car pick-ups are by reservation only. If you are arriving by car and you're not dropping it at a rental facility, you can park at a supervised lot along Whittier Street, a short walk south of the Small Boat Harbor and cruise dock. 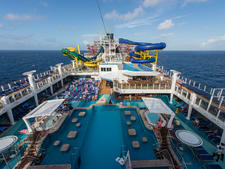 Parking is $80 for a weeklong cruise. Cash, checks and most major credit cards (Visa, Discover and Master Card) are accepted, but not American Express. If you wish to park a trailer, you will need to utilize the private long-term parking lot located across the tracks from the waterfront. This parking lot, as well as camping and RV parking, is accessed by turning right just over the bridge as you approach the waterfront area. Porters are not available at the Whittier Cruise Terminal, however there are luggage carts available for use. If your transfer to the ship is booked through your cruise line, your bags should be transported via luggage truck to the ship. Otherwise, there will be a luggage drop-off point in the parking lot. Most ships depart Whittier Cruise Terminal around 8:30 p.m. If you're booked on the train, a cruise ship transfer or a day tour from Anchorage to Whittier, you should arrive in plenty of time to board. It's always best to check with your cruise line on when to arrive at the port. Wheelchairs are not available for rent in Whittier. 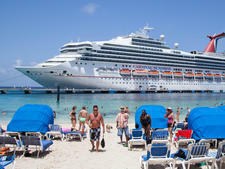 It's best to arrange wheelchairs and boarding assistance directly through your cruise line. The lots around the Small Boat Harbor, near the cruise dock, have a small assortment of cafes and shops. Enjoy a tasty salmon bagel from Lazy Otter Cafe & Gifts, a treat from the Donut Depot or wander around Log Cabin Gifts, which provides gorgeous handmade items from a longtime Whittier resident. Public restrooms are available at the Small Boat Harbor, as well as inside of the terminal. Wi-Fi is not available at the cruise port. Luggage storage is not available at the Whittier Cruise Terminal, but you can arrange luggage storage with Lazy Otter Charters (a five-minute walk from the terminal), or individual tour operators if you are booked on a day tour. 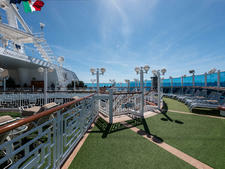 Seating is very limited at Whittier cruise terminal, with just a few folding chairs available for use. About 200 people live in Whittier, and the majority of them reside in one apartment complex called Begich Tower, which also houses a school and grocery store. Given the surprisingly small size of the town, the Inn at Whittier is a nice place to stay if you remain overnight, with views of Prince William Sound and an onsite restaurant.